I stopped off at the CWGC cemetery at Abbeville, Picardy, last week. 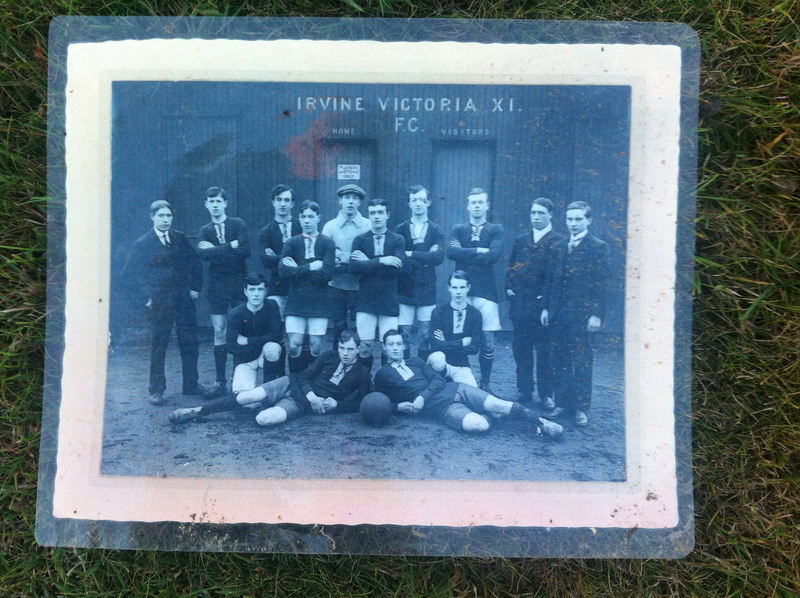 Lying on one of the grass paths was this photo, depicting the Irvine Victoria football team presumably of some time around 1914. I expect it had blown there from one of the graves nearby, but there was no way of telling which one. There are 1,992 Commonwealth War Graves at Abbeville’s Communal Cemetery and Extension, of which there is more information here from CWGC. This entry was posted in Events and tagged Abbeville, CWGC, Irvine Victoria FC, photographs, Scotland. Bookmark the permalink.